Prince Rakeem / The Abbot / Bobby Digital / Bobby Steels / The Scientist / Prince Delight / Prince Dynamite / Ruler Zig-Zag-Zig Allah / Rzarector / etc. Soul Temple Records / Tommy Boy / Warner Bros. Records / Wu-Tang Records / Razor Sharp / Epic / 36 Chambers Records / Wu Music Group / Wu-Tang Int. Robert F. Diggs changed hip hop forever when he assembled the Wu-Tang Clan. Their influence over the past twenty years is undeniable and resounding. Under his direction, they birthed and popularized an original new slang, style and sound influenced both by project life and various Eastern philosophies, physical and mental. They started a movement and swarmed the industry. 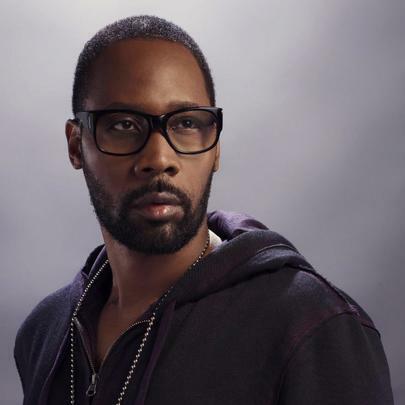 As a solo artist, RZA has put out four studio albums, as well as a debut EP under the moniker Prince Rakeem. He's released three albums and an EP with horrorcore pioneers the Gravediggaz. He's helmed every major Wu-Tang record and contributed to dozens of official member and affiliate solo projects, not to mention producing for and collaborating with many artists outside of the family as well. Other than his musical catalogue, he's authored two non-fiction books, The Wu-Tang Manual and the Tao of Wu, and has been depicted in official Wu-Tang comic books and a martial arts game for the original Playstation. He co-founded the Wu Wear clothing line that's seen phases of great success. He's contributed to film and television scores, and has been known to appear on the big screen every now and then as well. And the list goes on. RZA undoubtedly changed the rap game for the better, forever. He helped shape it, and continues to do so to this day. So stay tuned - although fans are [warily] hopeful for a collective Wu project in the near future, we're not worried about Bobby's individual output. He just doesn't stop. RZA's extended family is allegedly the largest currently living in New York City. Flavor Flav is apparently RZA's distant cousin. RZA is named after both Robert and John Fitzgerald Kennedy. He started rapping and competing in battles at the tender age of eleven. RZA lived in North Carolina with his uncle from age three to age seven. Presents "Afro Samurai - Resurrection"